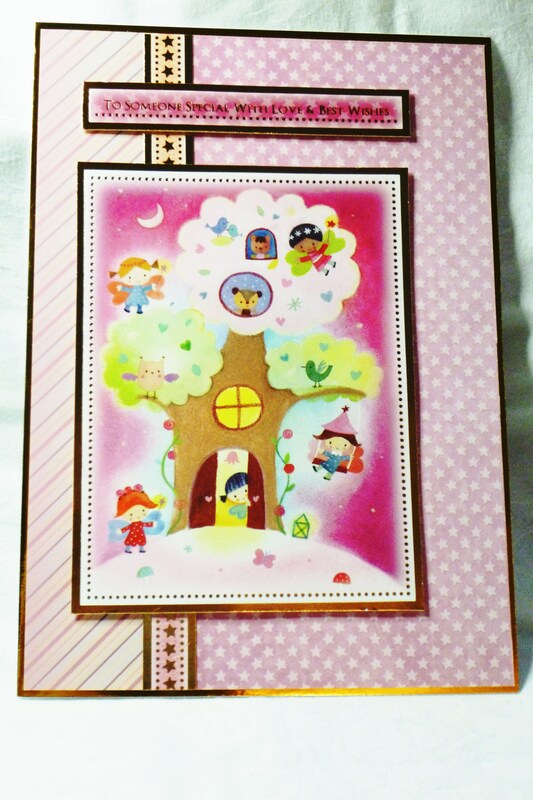 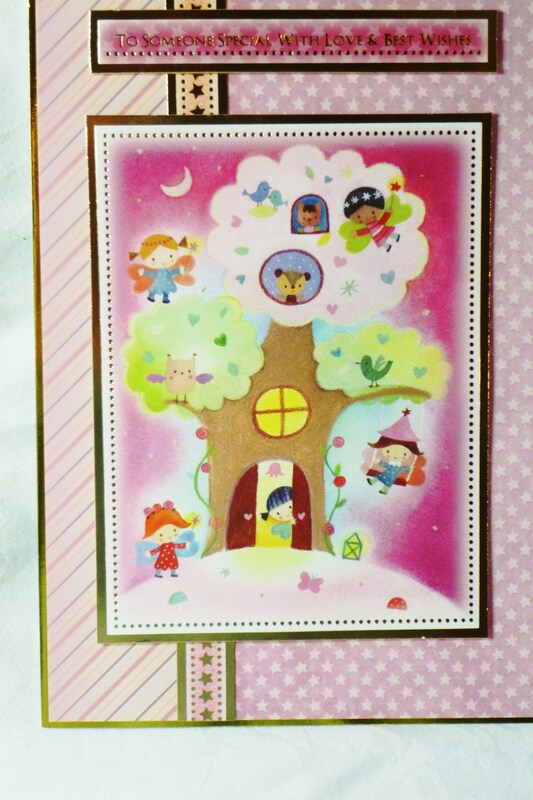 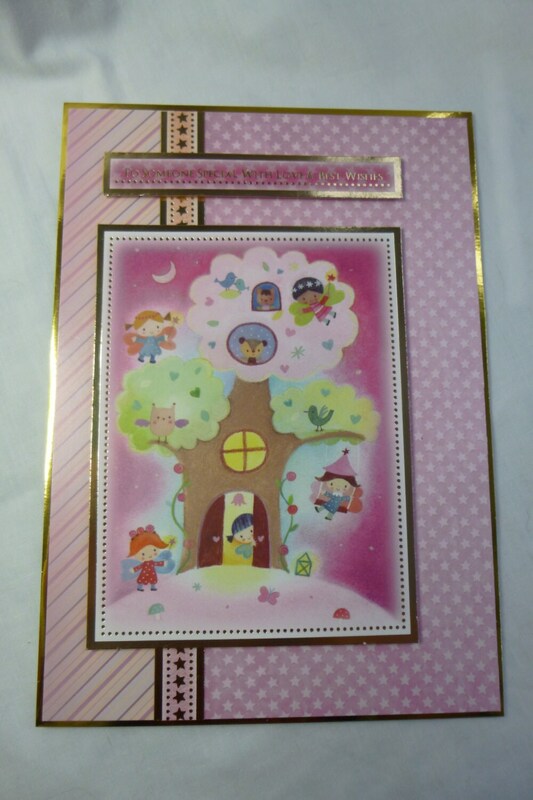 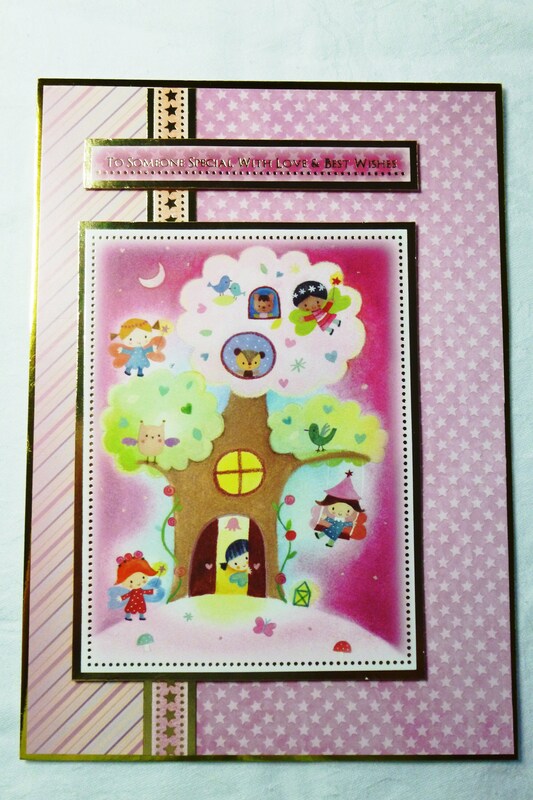 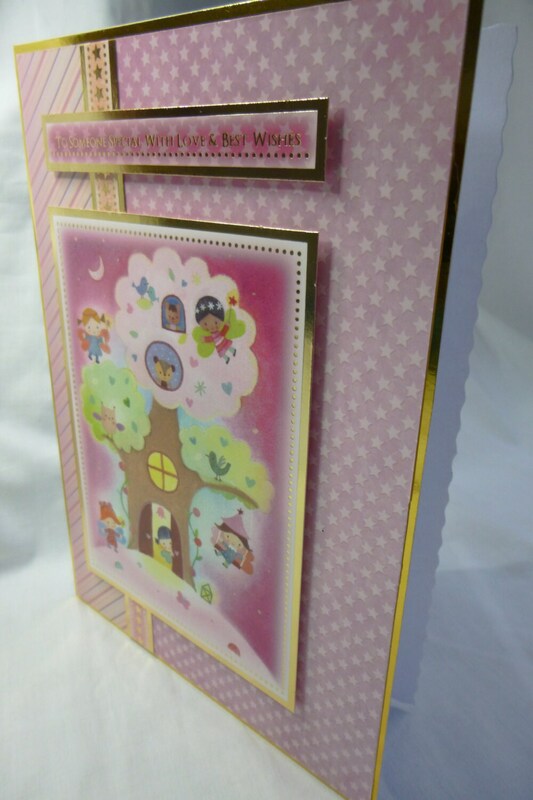 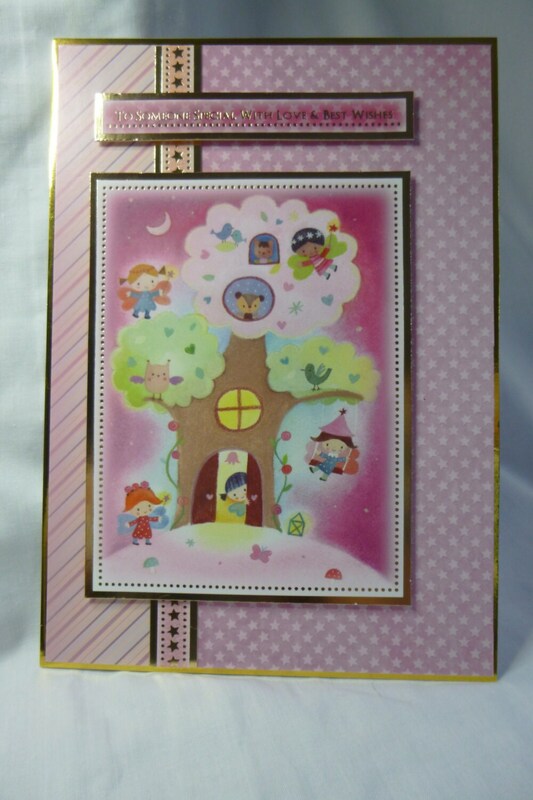 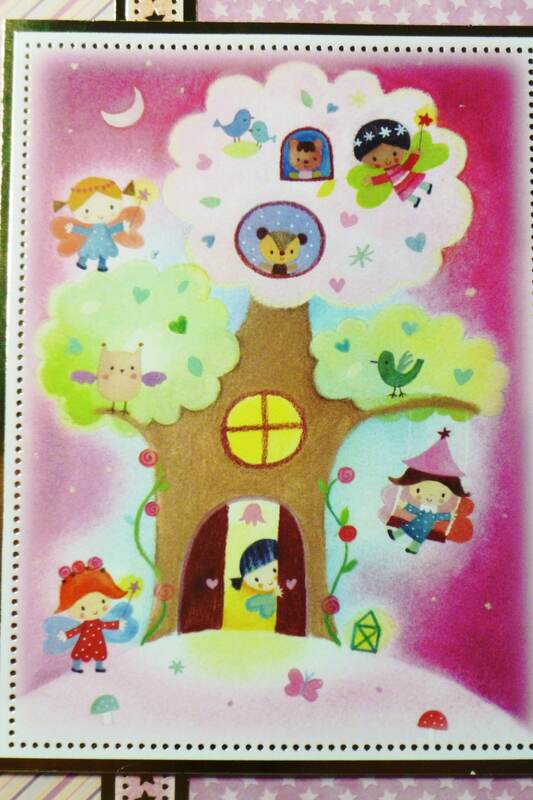 Birthday greeting card, made from white card, layered with gold card and pink patterned card, has a large pink and gold topper with fairies in a tree house, there is also a pink strip down the left hand side with gold stars on it, a sentiment which says, 'To Someone Special With Love and Best Wishes'. 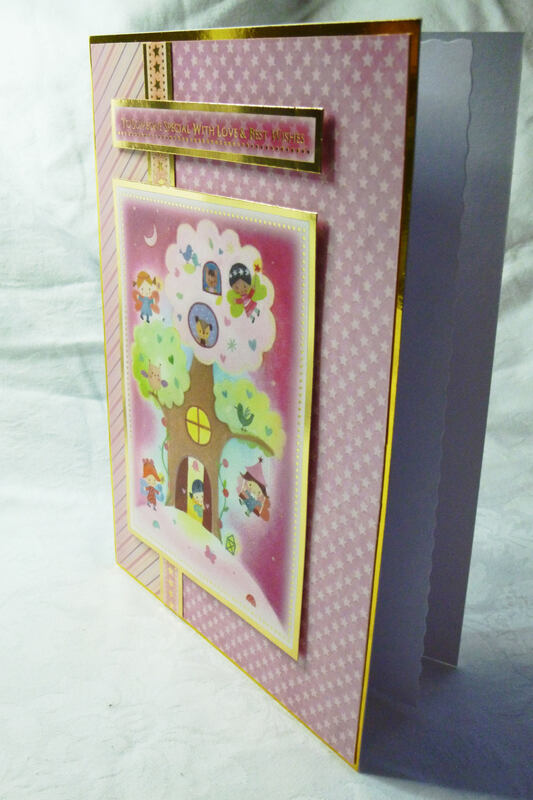 Inside the card is plain white insert paper for you to write your own special message. 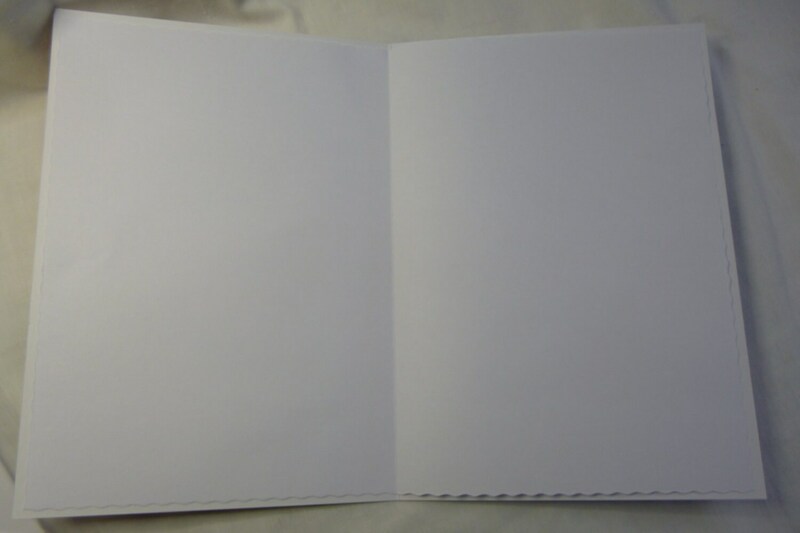 Please note age number can be added when ordering if required.